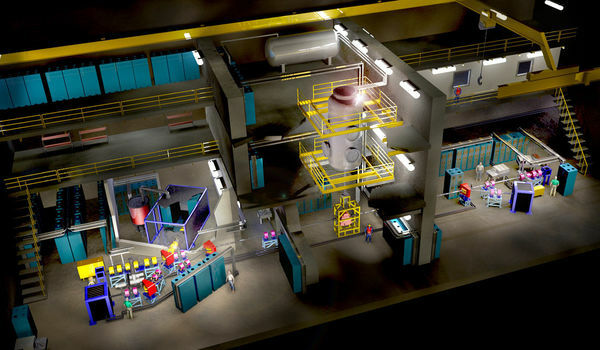 The nuclear physics research group at Notre Dame has been successful in obtaining funding for the continuation of the development project for an underground accelerator laboratory in the United States. Jeanne Romero-Severson, associate professor of biological sciences at the University of Notre Dame, and her collaborators, are tracking the evolution of the live oaks of eastern North America, seeking to understand how the trees adapted to climate change during glacial periods. 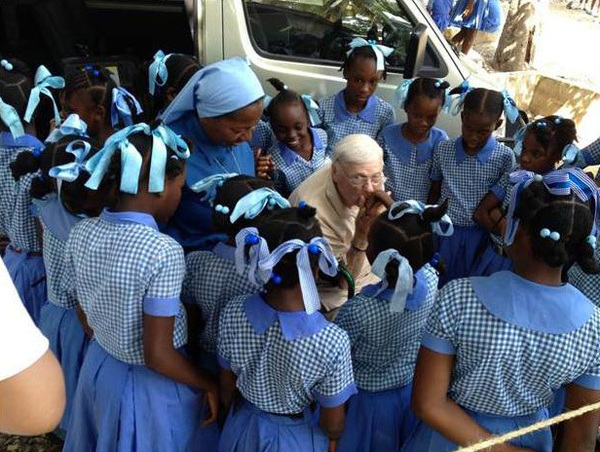 Emil T. Hofman, chemistry professor emeritus at Notre Dame, is a regular traveler to Haiti supporting the Notre Dame Haiti Program and its mission. He recently celebrated his 91st birthday at the Residence Filariose surrounded by family, friends, former students and Haiti Program staff. The Department of Applied and Computational Mathematics and Statistics (ACMS) at the University of Notre Dame hosted the “Midwest Numerical Analysis Days 2012 on May 12 – 13, 2012. This two-day conference was organized to provide an opportunity for faculty, postdocs and graduate students in numerical analysis, scientific computing and modeling with applications to science and engineering to exchange ideas and promote new collaborations. The conference highlighted various active numerical analysis and scientific computing research programs in the Midwest and presented a broad spectrum of talks on current research and future prospects for applied and computational mathematics approaches and their applications. On July 9, the Department of Physics and Notre Dame’s Physics Research Experiences for Undergraduates (REU) Program hosted the annual Physics Olympics in the Jordan Hall of Science. REU students from Michigan State, Purdue and Notre Dame participated in the events. This year’s Physics Olympics included three group events designed to draw upon the students’ knowledge of basic physics principles. Each event was timed and utilized everyday household items that needed to be used to complete a task. Biochemistry graduate student Kerry Bauer recently received an Indiana Clinical and Translational Sciences Institute (CTSI) Predoctorial Trainee Award. The award includes an annual stipend, partial tuition for coursework relevant to her research, and travel support to attend a national meeting for similar trainees from 40 other medical schools and research institutions around the country. Researchers and clinicians focused on ovarian cancer participated in the inaugural Indiana-Illinois End Epithelial Cancer Coalition Workshop on June 10-11 at the University of Notre Dame. The attendees at this intensive workshop included basic and clinical researchers and trainees from the University of Notre Dame, Indiana University School of Medicine (Bloomington, Indianapolis, South Bend), University of Chicago, University of Illinois (Chicago and Urbana-Champaign), Southern Illinois University – Carbondale, and Rush University. Scientists working at the Large Hadron Collider (LHC), the world’s largest atom smasher, are expected to announce Wednesday (July 4) that they have evidence that the elusive Higgs boson particle exists. Notre Dame researchers have long been involved in the search for the Higgs boson, the final piece of a model proposed four decades ago laying out the basic building blocks of matter in the universe. Now that the summer season is in full swing, many of us will be hosting picnics and barbecues and socializing outside. Chances are, we’ll also have some unwanted guests in the form of mosquitoes. Mosquitoes seem to have an uncanny ability to locate us, and Zainulabeuddin Syed, a mosquito biologist with the University of Notre Dame’s Eck Institute for Global Health, has gone a long way toward to determining how they do it. In short, it’s because of the way we smell.